(WASHINGTON) — One of the two Pentagon funds the Trump administration plans to tap to help secure the southern border after declaring a national emergency has nowhere near the $2.5 billion that is projected for its use. Instead, the Pentagon will take advantage of rules governing the use of appropriated funds, and pump money into the fund from elsewhere to get it to that level. The Pentagon’s counter-drug account does not currently have $2.5 billion available for use, so the Defense Department will “reprogram,” or shift money from other accounts to boost it to that level. For this fiscal year, the Pentagon’s counter-drug fund was authorized at about $850 million, but only $85 million of that amount remains available. According to defense officials, that means that the Pentagon will review other accounts in its annual $700 billion budget to find the additional funds that will boost the counter drug account up to $2.5 billion. Congress will be notified about the reprogramming, but as long as the amounts shifted into the counter drug fund are under a certain cap, they will not trigger congressional authorization. Last Friday, the Department of Homeland Security sent the Pentagon a prioritized list of projects meant to impede known drug smuggling corridors. The document asks for additional fencing, lighting, and roads in the El Paso, Tucson, Yuma, and El Centro areas. The Defense Department will next review those projects and pair them up with available funding. 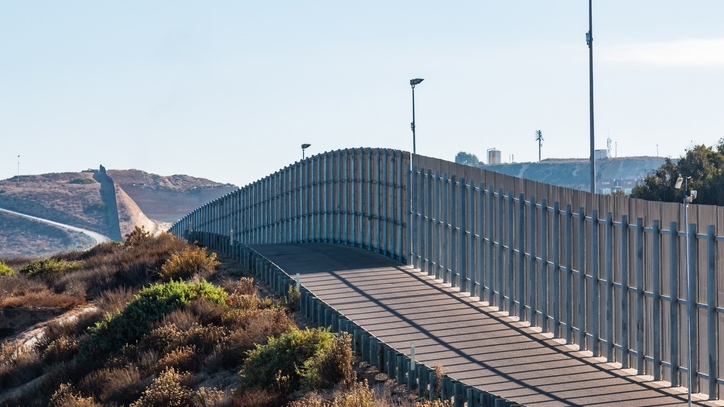 Before construction on any border projects can begin the Pentagon will start the process of awarding contracts, carry out environmental assessments and ensure they have access rights to land. Senior Defense officials believe it could be weeks before the Pentagon wraps up its assessment of the DHS request. After that, it could be months more before the construction of projects begin along the border. But the Trump administration is under a deadline when it comes to using the money in the counter drug fund. It has to be assigned for specific projects or “obligated” by the end of the fiscal year on Sept. 30 of 2019. Meanwhile there is a five year time limit associated with using the $3.5 billion in military construction funds that the administration has also tapped for use along the border.